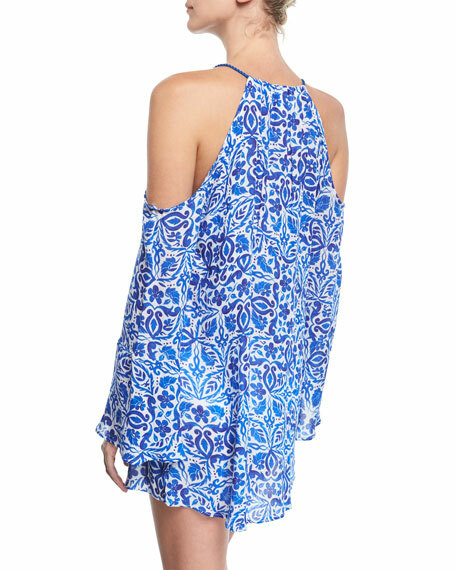 Nanette Lepore tunic coverup in crinkle gauze with talavera-print. 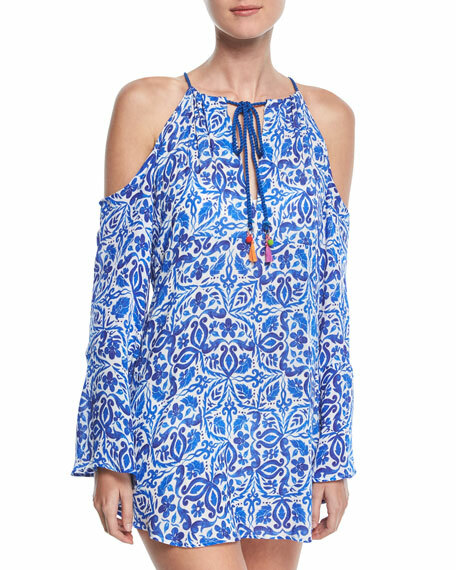 High neckline; cutout front with ties. For in-store inquiries, use sku #2370831.